09.28.2015, Uncategorized, by Jack W Perry. 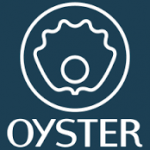 Oyster eBook subscription service last week announced they are suspending business. This two-year old start-up had gathered a lot of publicity and industry buzz. They had $20-million in seed money and founders from the tech world. But, in the end, Oyster could not generate enough business to sustain. The company will “sunset” over the next few months with Google is picking up some of the pieces. Flawed Business Model — Oyster paid publishers their full cut of an eBook once 10%-20% was read. So even if a consumer only read 1/5 of the book, Oyster was still on the hook for the full amount to the publisher. Plus the best customers were the ones that Oyster lost money on. The Best Customers Were Not Profitable Ones — Subscription services appeal most to those who read a lot. This group easily consumed more than the $9.95 monthly fee. So this group of customers used the service the most, also cost them the most. There were not enough “join the gym and never go” customers to make the service profitable. Lack of Publisher Support — Although they had over 1,000,000 titles, they were missing most of the high profile front-list ones. Quantity is not nearly as important as the quality. The biggest publisher, Penguin-Random House (with 50% of the best-sellers) didn’t participate. Although other corporate publishers played (S&S and HarperCollins most notably), they only let the back-list on the service. Tough to Compete with Amazon — They lost competing with one of the strongest retailers in the world. Amazon created their own subscription service and set the rules. They acknowledged out the gate that there would not be books from big publishers; they have most of the top self-pubished authors locked in; and they set the financial terms. Amazon has paid out almost $100-million to authors over the past year from Kindle Unlimited. Book Market isn’t Big Enough to Sustain — Millions of Americans don’t read even a book a year. Many read just one or two. That group is more apt to just buy the book that they want to read. The movie/tv industry and music are much more broad based. Most everyone listens to music or watches something every day. Reading is a much smaller subset. A book can sell less than 10,000 copies and still make the NY Times bestseller list. Comps to “Netflix for Books” is Seriously Flawed — This comparison never made sense. Viewing movies and tv shows is vastly different than reading books. Consumers will watch movies together. They will browse through the Netflix offerings and watch something on impulse for “a night in.” Reading is a solo event and has much different reasons for consuming. Plus, Netflix has original programming that competes with the major studios. Oyster had no original works. Comps to “Spotify for Books” Equally Flawed — This comparison also was not appropriate. Music is background. Music is on all the time. Music is easily sampled. People listen to the same song thousands of times. All of these are not characteristics of the way people consume books. Plus, the music industry has much different economics. Few Have the Time to Justify a Subscription for Books — Reading takes time, It isn’t quick like watching a movie or listening to an album (another reason why it will never be like Netflix or Spotify), Most books take days or even weeks to read. There just are not enough people who have the time to read that many books. Oyster made a good run at creating a subscription service for eBooks. They had funding, smart leaders, good UX, a fair amount of mindshare from the publishing industry. But in the end, they missed on too many key points. Oyster was a good experiment in a new way to read/buy/consume books. There will be others. The idea of subscription can work.